On 6th November Matthew took his own life after suffering many years with mental health. After the shock of what happened and looking back, Matthew was really let down by the Mental Health System. He was sadly let down and I truly believe this is the case for many. I wish to campaign for mental health and raise awareness, while also helping anyone I can. 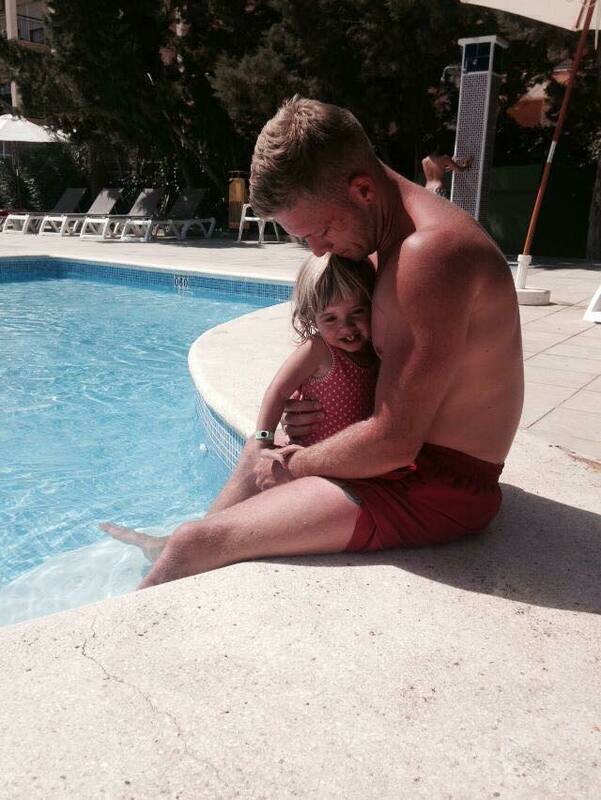 Matthew was the only daddy Sienna has known, bringing her up from the age of 11 months. She’s now 5. They adored each other and its so hard to see a 5 year old draw pictures of her daddy most days. Life was very hard dealing with Matthews mental health which at the time I didn’t really understand, it’s only now its too late looking back all the signs were there. For Matthew I want his voice heard now along with his family. I hope we can help another family – even one would be an achievement. I have set up Matthews Voice, through this I want to help the people in Essex dealing with mental health issues – if we can help in any way, we will. I would like to raise more awareness for people dealing with the loss from suicides and dealing with mental health. It doesn’t just affect the person dealing with it, but those around them. We need more support and to speak out and be heard. It’s devastating what has happened. Sienna and I have great memories with Matthew and I wish to keep sharing these fantastic memories. The money raised would be to help support local people, set up support groups, help pay for therapy sessions, we would also like to give some happiness to families, whether its a day out as a family or a simple meal together, these are the things myself and Matthew done and these moments were happy moments. I want to give new memories and support to those who are dealing with what we as a family did. We would also like to have a caravan at Mersea Island in Colchester, for local families who need a break and dealing with similar situations which we did as a family. We spent many a weekend here. We have amazing photos and memories. I want to help people make new memories and give a little hope to them about the future. A small break can make a big difference. I will create more awareness by working with schools, press and local counselling in setting up support groups. Mental Health is such a big thing and I want to help even just one person. I hope you find this website useful, please contact us if you require any help locally and keep looking back for events and groups we will be setting up. A little more support is needed. All the best and thank you for taking the time to visit our site. For all those who talk about their late loved one. For all those who talk about their loss. This is why we talk about them. Hint: It is not for attention. We talk about them because we love them. In life and in death. We talk about them because they are still a part of us. And always will be. We talk about them because the love we shared and the loss we endured have shaped us into the person we are today. We talk about them because we find it therapeutic. For our minds, for our hearts and for our souls. We talk about them because it helps us, and we hope it will help others. We talk about them because the memories make us happy. And we need to feel that. We talk about them because the memories make us sad. And we need to feel that. We talk about them because we want the world to know the struggle. Of cancer. Of suicide. Of drug addiction. Of heart disease. Of sudden death. Of terminal illness. We talk about them because we want you to appreciate what you have. Because in hindsight, we may realize we didn’t. We talk about them because they are still ours. And we are still theirs. We talk about them because in the day-to-day grind that is life, we sometimes feel them drifting away. And we think talking about them will make us feel closer to them today. We talk about them because we want to. We talk about them because we need to. And yes, sometimes, we talk about them because nobody else is. We carry on their legacies.